Physical Therapist Assistant ~ Rebekah is a 2014 graduate of South University in Savannah, GA, where she earned her Physical Therapist Assistant Associate’s Degree. 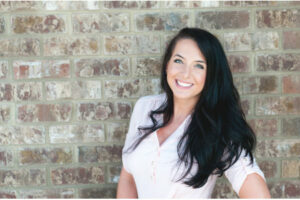 Prior to that, she attended and graduated in 2011 from Lake Lanier School of Massage, becoming a Licensed Massage Therapist, specializing in corrective bodywork and orthopaedic massage. Originally from Northeast Georgia, Rebekah grew up as one of five children (plus a few cousins and a couple of friends) in a large Cuban-American family. Rebekah moved to Clarksville in November 2014 with her husband, Joshua, who is an Army bandsman currently stationed at Fort Campbell. Together they have two big fur babies, Roxie, a Golden Retriever mix, and Suzie Q, a bird dog/Dalmatian mix. When they aren’t traveling to see family, or going to a concert, Rebekah enjoys running, reading, and listening to her husband play guitar while she cooks.